"We absolutely love teacher Paula! From the moment my little one met teacher Paula they had an instant connection and it became a wonderful relationship from then on! I suppose it happens with all of teacher Paula's students. What's not to love? She is patient, nurturing, loves to teach, and she is always smiling! She also provides serious instruction but makes it fun for the little ones to learn. Her studio is immaculate, warm, and inviting and her rates are beyond reasonable. The trek from SF to Cal is annoying but well worth it!" "Our daughter was a shy 3 1/2 year old.... at preschool she was most inclined to hang in the back and watch, rather than engage with other children. This was so different from our experiences with her brother, that we wanted to give her something that was just "hers" to help break her out of her shell. She liked everything "pink and princesses," so on a lark we signed her up for a ballet class that happened to be with Miss Paula. Literally within weeks of starting ballet, she started to develop more confidence. Here we are, 4+ years later, with a 8 1/2 year old young lady who is very much full of life and self-confidence. I honestly believe that ballet with Miss Paula has made an enormous difference in her development, not just as a dancer but as a person. We could not be more grateful. Paula has a very special gift with young children. She makes EVERY child feel unique and fills each child a with a great sense of accomplishment and warmth. Our daughter would wake up at age 4 on Saturday mornings, get dressed all by herself in full ballet class regalia, and sit there at the breakfast table waiting for the rest of us to get with the program and take her to ballet with Miss Paula! One of the great things about Miss Paula is that she understands and celebrates what's important at each stage in a young dancer's development. With the littlest ones, she encourages them to come to class dressed however they would like -- whether in the precious tutu bursting with pink sparkles (gift from Grandma perhaps), or in sweatpants and a T-shirt. With her oldest students, she encourages simple leotards and tights, to keep the focus on form. When they're ready, they'll want to put their hair in a bun and they'll beg their moms to figure it out -- waiting until then is just fine with Miss Paula. This experience contrasts with other programs we considered, where uniforms and ballet buns are compulsory starting with age ~3." "Great teacher... really positive experience for boys and parents." " Paula is an amazing instructor! 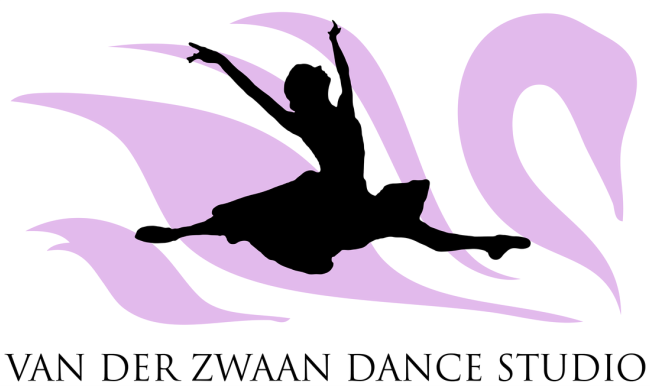 My daughter has been taking ballet at Zwaan Dance for three years and I have witnessed exemplary results. Paula instructs her students with a fine balance of structure and fun, the kids have no choice but to learn and enjoy it at the same time! My daughter and I travel 17 miles each week to take her class - I recommend her class to anyone interested in ballet."